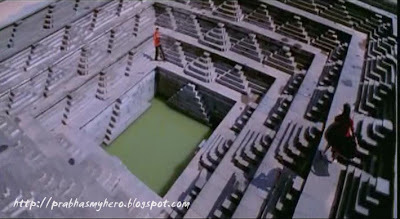 Pournami(2006) has been filmed at some splendid sets seen in Telugu cinema. Not just that, a couple of songs and probably a few scenes have been filmed at a more spectacular locale - 'Hampi' a UNESCO World Heritage Site located in Karnataka, India. Hampi is about 350 kms from Bangalore. 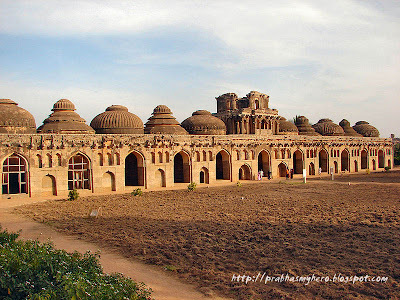 Hampi was once the capital of Vijayanagara Empire which ruled southern India from 14th to 16th century. Then the village was a magnificent site with great monuments and temples. Today all you can see are the remains of the great structures. It is believed that there were above 500 such massive structures. “Vijanagara” literally means “the city of Victory”. It was rich and famous in 14th century and is believed that diamonds were sold on streets of Hampi. 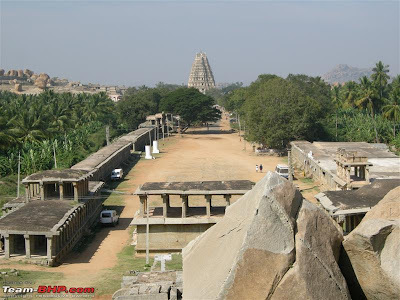 Know more about Hampi from the references cited at the bottom of the post. 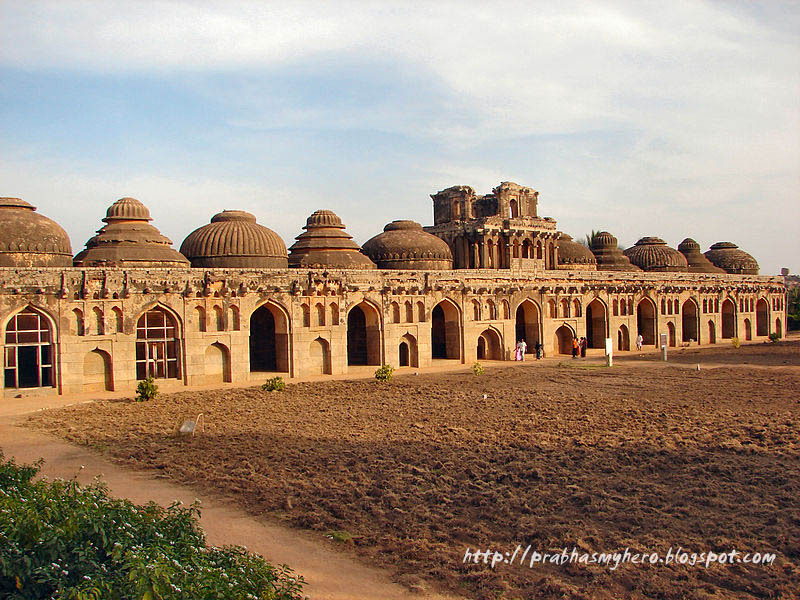 All the above scenes were filmed at the location popularly known as Zanana Enclosure or Queens enclosure at Hampi. The Lotus Mahal was the queens summer house and is said to be cooled by waterpipes along the ceiling and the numerous windows. The 'Mahanavami Dibba' is a grand stage from where the royal family viewed the Dusshera celebrations and gave an audience to the public. This is a huge monolithic structure, with intricate carvings on its walls, and a panaromic view of the royal quarters. 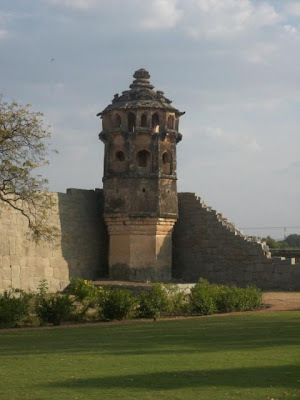 The watch Tower at Zanana Enclosure, Hampi. Hampi is huge, spread over 25 kms. Hence i was able to locate only a few prominent places.